Get Excited!!!!!!!! 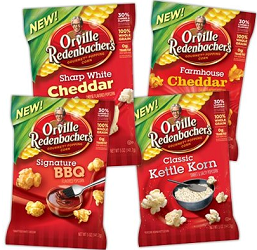 Today, you will be able to get a FREE Orville Ready to Eat Popcorn coupon. All you have to do is load the coupon to your card and redeem at your nearest store. The coupon is only available that day and expires 10/15. Kroger has been AmAzInG with all these awesome FREEBIES!